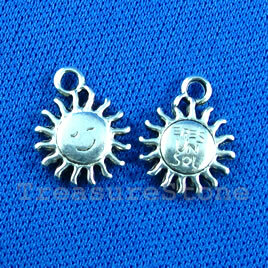 Pendant/charm, silver-finished, 12mm sun. Pkg of 12. 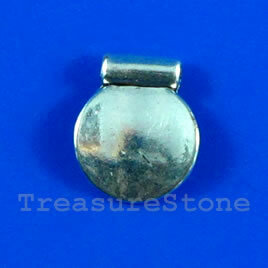 Pendant/charm, silver-finished, 12mm. Pkg of 12. 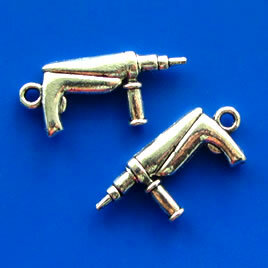 Pendant/charm, silver-finished, 12x23mm drill. Pkg of 6. Bead, antiqued silver finished, 8x11mm Buddha Head. Pkg of 8. Bead, bright silver finished. 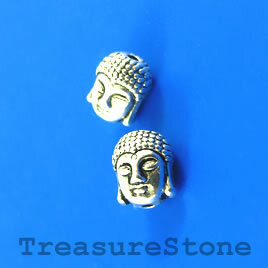 10mm buddha head. Pkg of 8. Bead, silver finished. 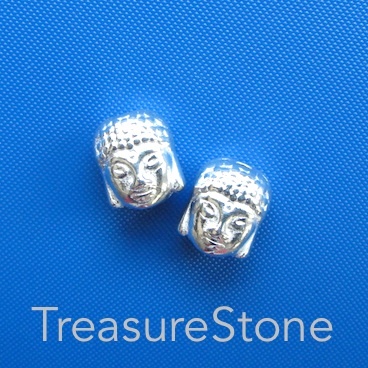 10mm buddha head. Pkg of 8.